Established in 2005, Warm Zone Group Ltd provide expertise in both domestic plumbing & heating services to clients in East & West Sussex. We are an independent, courteous family-run business based in Shoreham-by-Sea This gives us a central base to offer a fast and friendly service to clients in Brighton, Worthing, Lancing, Portslade, Hove & Steyning. Our domestic heating team know the importance of cost effective, energy efficient and easy-to-use domestic heating systems. We want you to feel as comfortable in your own home as you do with our team of professional and highly qualified engineers. We know that repairs can be costly, so we work with you to deliver the most professional service and discuss the options you have with our fully certified, courteous and presentable staff. 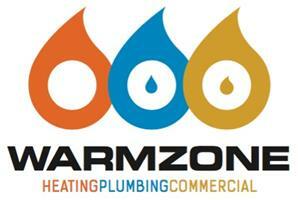 Warm Zone Group specialise in domestic gas boilers heating & system controls. We can supply & fit a range of boilers to suit almost every budget. If you are looking to modernise your outdated bathroom then talk to our experts. Warm Zone Group can offer you a completely bespoke bathroom and plumbing installations service as well as repairs for homes and small businesses, we believe you won't be disappointed with our service! We can transform your old tired & outdated bathroom, into a polished warm and welcoming space. Every installation starts with a free site survey where we work with you the client, to help you visualise your dream space. Whether you are looking to transform your family bathroom into a fabulous Wet Room or simply update your ensuite, we will take care of every aspect from plumbing, through to tiling. For more information, visit our website, Facebook, Twitter, Google+, LinkedIn or YouTube pages.